Passenger numbers at Luton Airport are through the roof! Posted on 13th June 2016 at 3:45 pm. Home » News » Passenger numbers at Luton Airport are through the roof! Officially recorded on May 27th, 50,564 passengers travelled through Luton Airport, topping all previous numbers and making it the busiest day in the 78 years of the airport’s history. Each year traveller numbers have grown steadily and are expected to increase in future months due to the implementation Adria Airways launching a new route to the capital of Kosovo, Pristina. Airport CEO Nick Barton said: “Our ambitious redevelopment project is crucial for meeting the consistently high levels of demand for air travel we’re seeing in the Southeast – our record-breaking May is testament to this. They may not be record breaking, but Luton has been constantly hitting high passenger numbers with 1.1 million people travelling through the airport in April; a staggering 17% increase on the same month last year. Combined with the fact that Luton Airport have served 13 million passengers in the last 12 months since May, it seems like the £110 million redevelopment for the airport is already creating noticeable change. 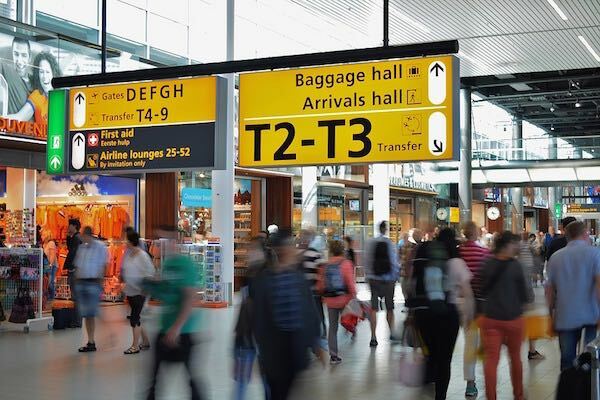 “The transformation of London Luton is underway, with the airport’s £110 million investment programme set to drive passenger numbers up to around 18 million in the next four years. Want to keep up to date with all of the Luton Airport information? Follow @Airport_Guides on Twitter or like our Facebook page for all the news you need to see.